A meadow in full bloom! This all-time popular standard size seed packet features a sun-filled photo of bright red poppies, lush blue cornflowers and more. Great for any occasion, party, meeting or mailing, when a small high-quality gift is needed. 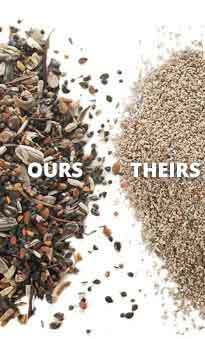 Seed mixture inside is of favorites including poppies and cornflowers that will grow and bloom quickly anywhere. Standard size is 3 1/4" wide x 4 1/2" tall.